Happy Mani Monday! Who's kids are on Spring break this week? Mine were on Spring Break last week, and Coco was in Disneyland with my parents for her fifth birthday (Leila went when she turned five too) which meant we had some one-on-one time with Leila. 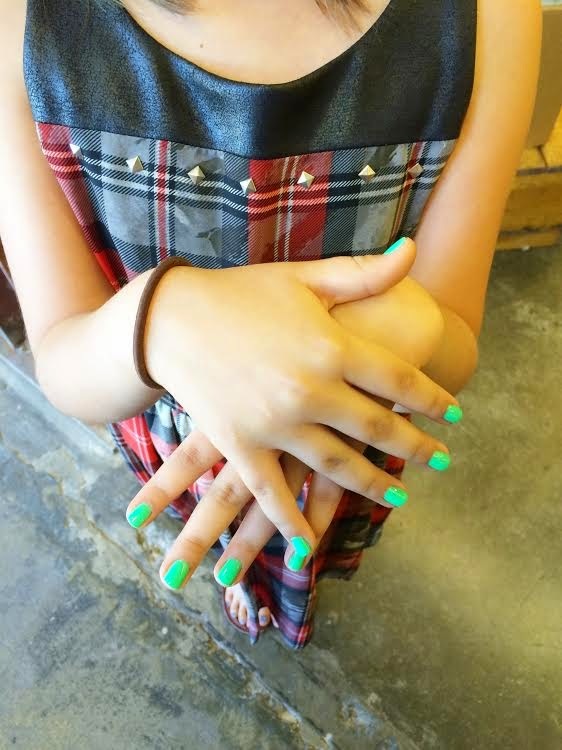 We spent a few days in Monterey, and then when Tony went back to work I asked her what she wanted to do, and she (of course) asked to get her nails done! China Glaze had sent me their new Electric Nights collection just a few days before, and her and I were both dying to try them out! 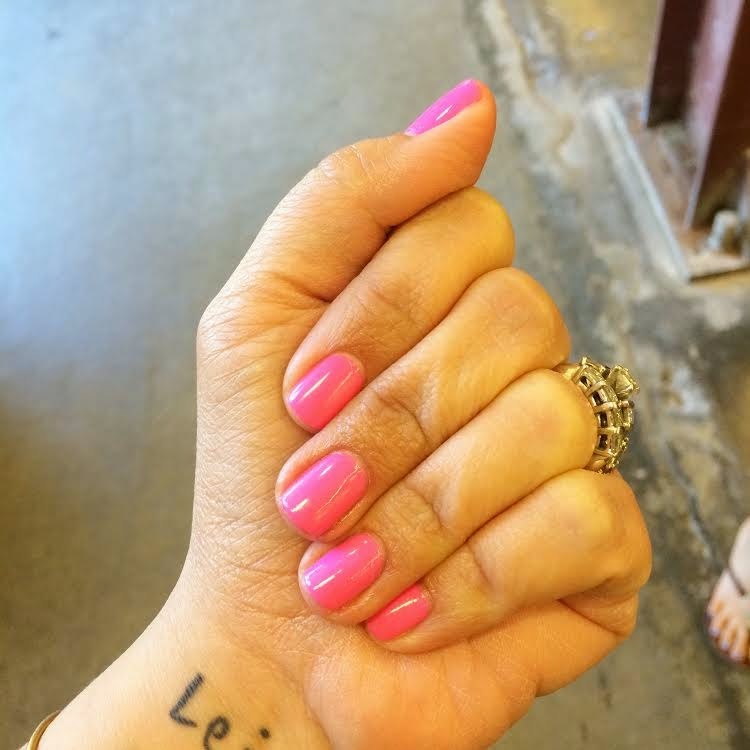 I had my nails done with the most gorgeous, super neon pink, Glow with the Flow. I wish I could have properly photographed just how bright it is! These colors are super vibrant, and 100% neon! I will be swatching more colors in the coming weeks. What do YOU have on right now? ?